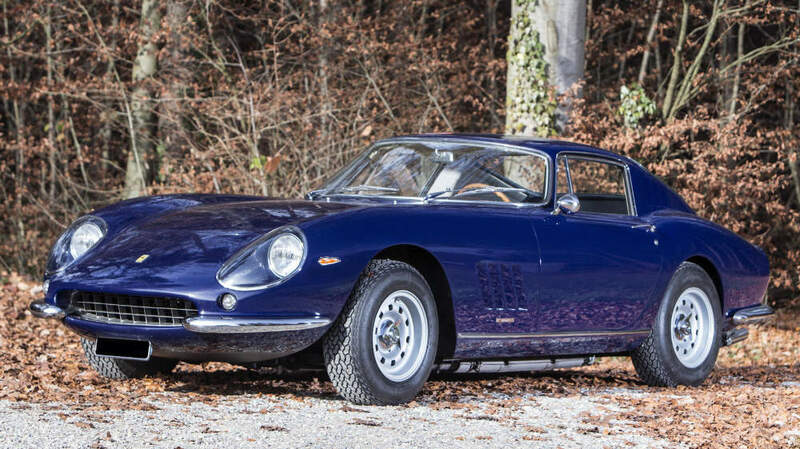 A 1966 Ferrari 275 GTB Berlinetta was at €2 million the only car to have sold for over a million dollar at the Bonhams 2016 Paris classic car auction. Bidding for the other five cars with pre-auction estimates of more than a million dollar stopped around 10% short of the lower estimates and the cars failed to sell, although for post-hammer deals were likely. Bonhams held its sixth annual Paris classic car sale on 4 February 2016 during Rétromobile week. Around 130 cars were on offer including several veteran cars and a range of small French and European cars rarely seen at top auctions other than the annual Paris Rétromobile week sales. The result, however, was not far off what similar cars have achieved at auctions in the last two years. This 275 GTB was the penultimate car built before the /4 quad-cam model was introduced but has a steel body with alloy doors, bonnet and boot. Ferrari produced only 453 of the 275 GTBs of which only 107 were long nose, torque tube versions. HB = Highest Bid (Unsuccessful). Auction in euro, currency conversion €1=$1.1. Bidding for the 2000 Mercedes Benz CLK GTR Coupé stopped only €100,000 short of the lower estimate, which left space for post-hammer deals. Only 25 of these cars were produced and sold new for $1 million without options. Expectations for the 1990 Ferrari F40 were not particularly high but if the highest bid were accepted, the all-in price would have been just over a million dollar. With an F40 in seemingly every classic car auction, bidders can afford to be picky. RM Sotheby’s sold a 1989 Ferrari F40 for $1,139,000 the night before. Porsche Carrera GTs have been coming to market in droves after Mecum sold one for just over a million dollars at Monterey 2015. At least five have been up for auction thus far in 2015 with the one sold post-hammer for $980,000 at Gooding Scottsdale 2016 the only result higher than the €700,000 offered for 2005 Porsche Carrera GT at Bonhams Paris 2016. See also: 2016 Bonhams Paris Auction (Preview) for more on these cars.